Hull Fencing specialise in palisade fencing in Hull. Galvanised Palisade Fencing is Ideal for schools, public areas, commercial premises, industrial and high security sites. It is designed to be a strong and durable construction; palisade fencing provides excellent protection against climbing and cut-through. Powder coating provides a tough, durable, but highly decorative finish available in a range of more than 170 colours. 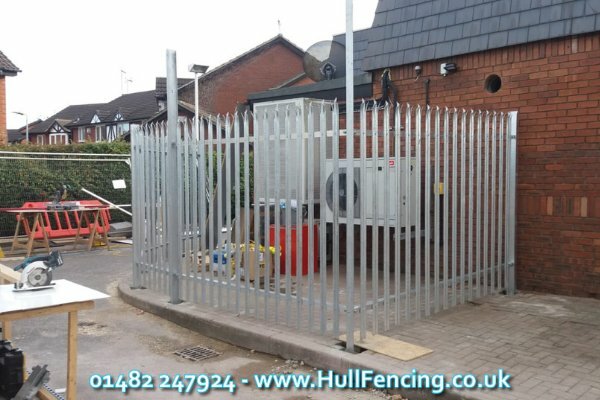 So if you’re looking for palisade fencing in Hull then look no further than Hull Fencing – give our team a call today on 01482 247924 to see how we can help you.